The Olympic semifinal between the U.S. and Canada was—and I know I will pay for these words—like a classic World Cup soccer game: close and low-scoring without ever being dull, it revealed, over several periods of probing, the hidden strengths and weaknesses in two otherwise equal teams. (And I will pay for those words, I mean, among those who hate any comparison between tough hockey and sissy, “feminized” soccer.) Though it lacked the melodrama of yesterday’s tilt by the women, it was about as well played as a hockey game could be. 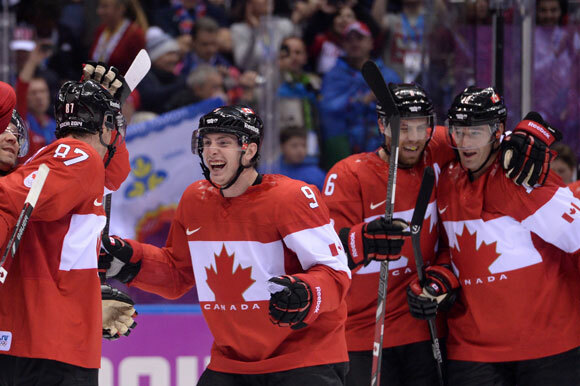 Canada moves on to face Sweden in the final on Sunday; the Swedes are a strong team, with a history of winning big tournaments, but Canada ought to be able to take the gold. The notion, aired by my good friend Nick Paumgarten, that the game would have been better if it had been played on a smaller ice surface—as one more strangled Bettman-era roller derby on ice—is just, well, let’s not go there. That intelligent hockey lovers can have eyes and souls sufficiently corrupted to prefer the N.H.L. variant to the real thing reminds me of Alexander Pope’s lines on vice: “Vice is a monster of such hideous mien/that to be hated needs but to be seen/But seen too oft, familiar with her face/we first endure, then pity, then embrace.” Anyone who watched the Soviets play the Canadians in the seventies knows what hockey can be, and wants it back that way again. We can pity the contemporary N.H.L. game, and sometimes endure it, but we must not embrace it. When, as I pointed out yesterday, even Phil Mushnick—Phil Mushnick!—can pick up on how much better the Olympic game is, you can be sure that people are seeing something real. Anyway, no one disputes that North Americans can play great and stylish hockey. The trouble is that the N.H.L. rarely gives them the chance.